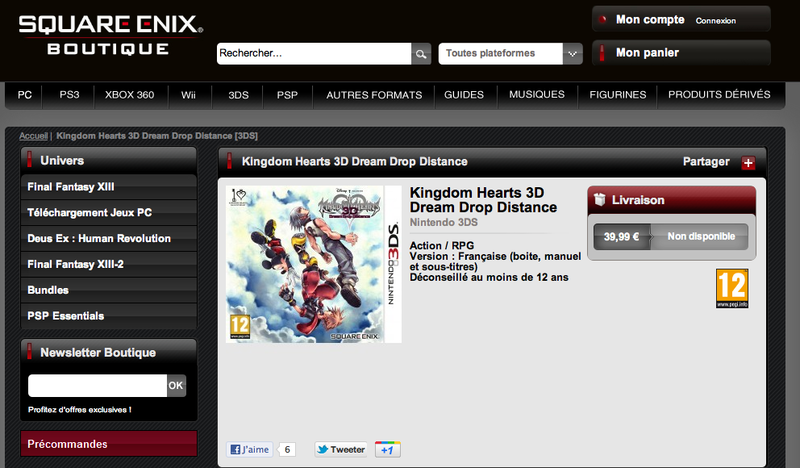 KH3D Release Date for Europe? 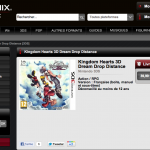 Square Enix France on their official online store had first accidentally placed a release date for Kingdom Hearts 3D in that region for July 27, 2012. After a short while, the release date was quickly changed to Summer 2012. 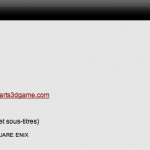 KH Destiny had contacted them and Square Enix France had indeed confirmed they have now changed the release date to match Summer 2012 (which is between June and August). Could this be the actual time frame of release for both Europe and North America? Only time will tell once the game is released in Japan in March and as we approach E3 in June. So for now folks just hold your excitement in until Square Enix confirms the release date.